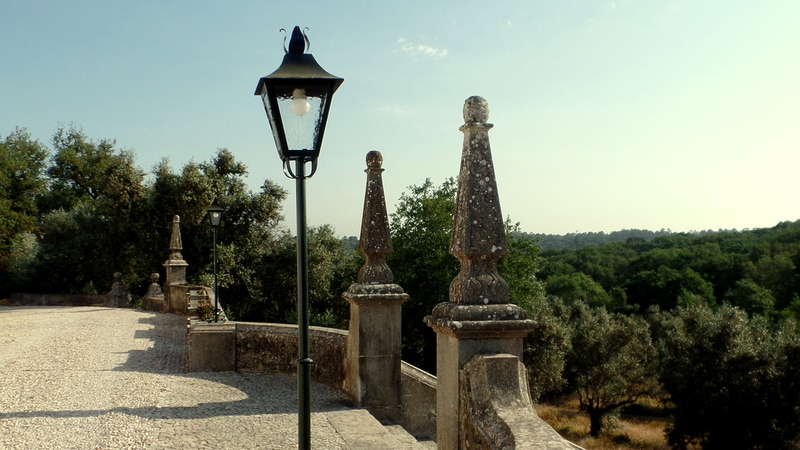 Quinta da Conceição, Azeitão has 7 newly restored rooms and suites, all beautifully furnished with antiques and original art. The stunning entrance hall, huge lounge, terraces, large swimming pool and extensive gardens are all exclusively for the use of guests staying at the house. With the exception of staff areas the whole house is available for guest use, rooms can be booked individually or larger families and groups can book the whole house and enjoy exclusive use of the house and facilities with complete privacy. Our small team will be on hand to ensure your comfort and make sure your stay is truly unforgettable. The house has recently undergone a three year restoration and refurbishment to carefully and sympathetically bring this special place into the 21st century. 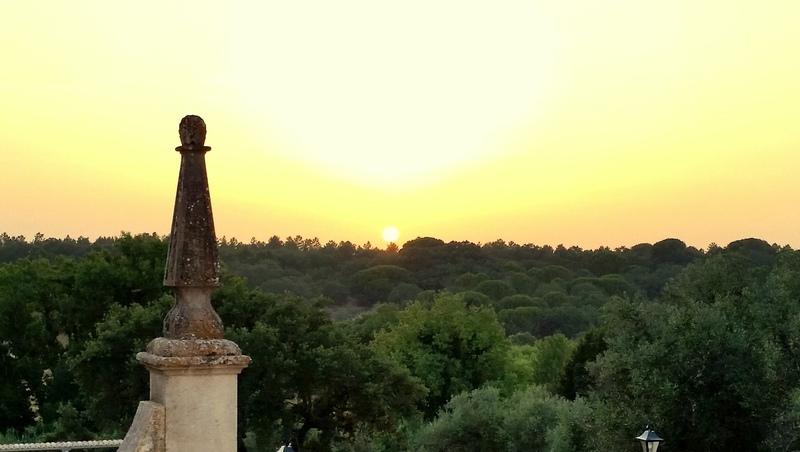 The Solar, (manor house in Portuguese) is situated on a secluded hill top surrounded by an estate of over 40 hectares of rural idyll, ancient cork and pine forests, olive groves and fields guaranteeing fine views, privacy, tranquillity, nature and clean air. 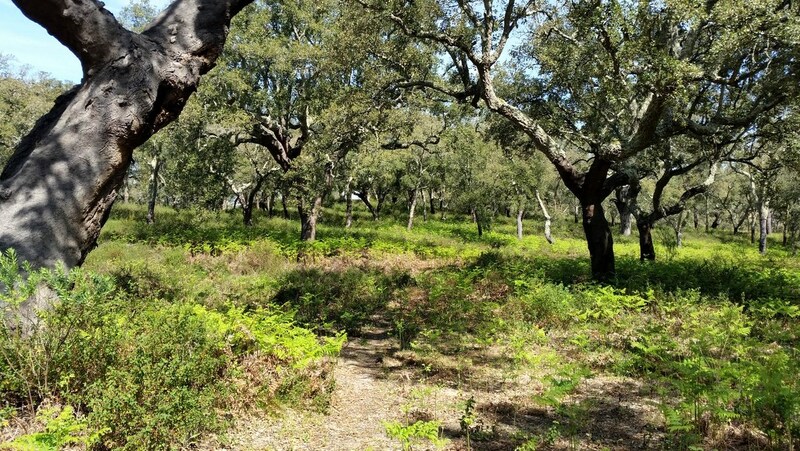 It’s the perfect place to relax and unwind, yet is conveniently located to visit the historic and cultural attractions of beautiful Lisbon, the wine and gastronomy of the nearby towns of Azeitão, Sesimbra, Palmela & Setubal, the stunning coastline and beaches of the Arrábida natural park and golf at Quinta do Peru. 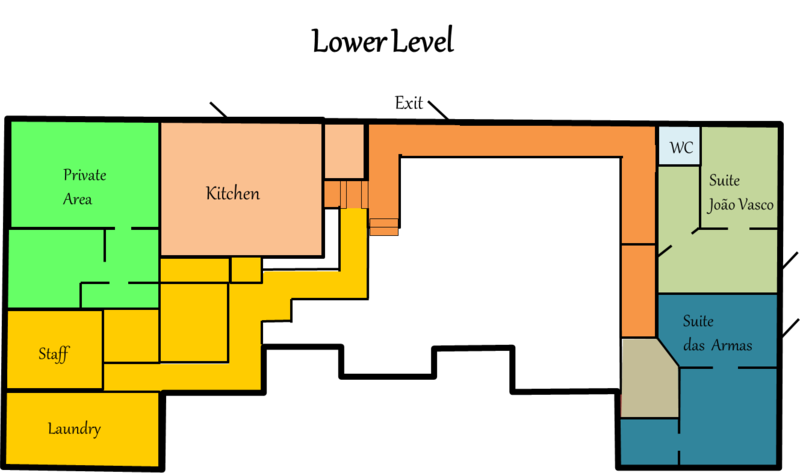 The gardens are laid out on a west facing hill side leading down to the Vale Real. 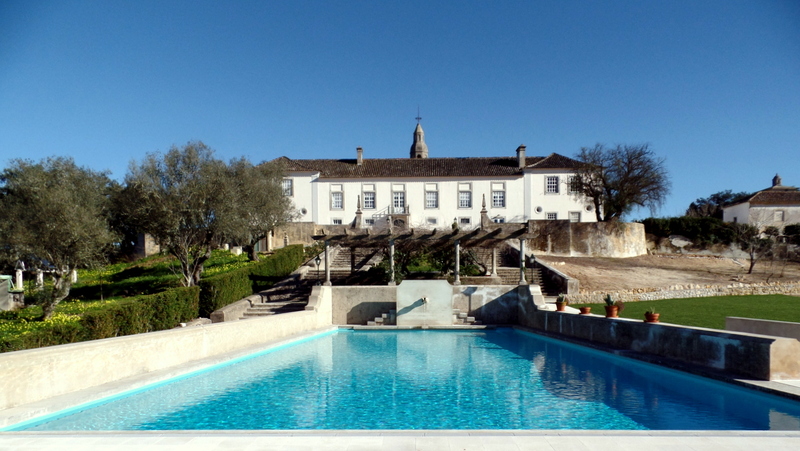 A long staircase descends from the house towards the river passing the swimming pool, terraces and the traditional Portuguese style garden with a formal garden and even an aqueduct. 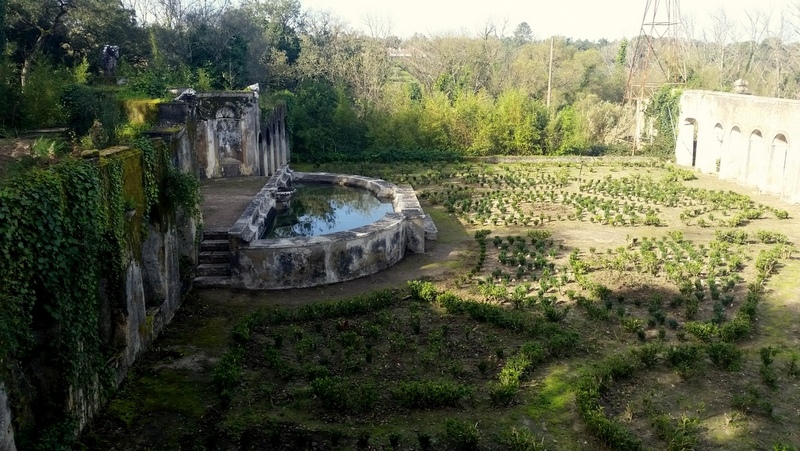 The swimming pool was originally built in the 18th century as a water tank to store the Quinta’s spring water. 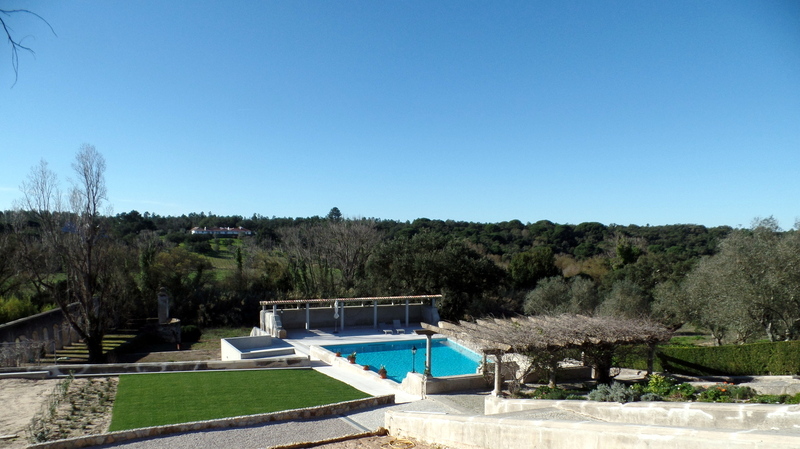 It has been carefully adapted to create a unique solar heated salt water swimming pool with plenty of room to relax and enjoy the great Portuguese summer. The pool is usually warm enough to use from mid May until the end of October. 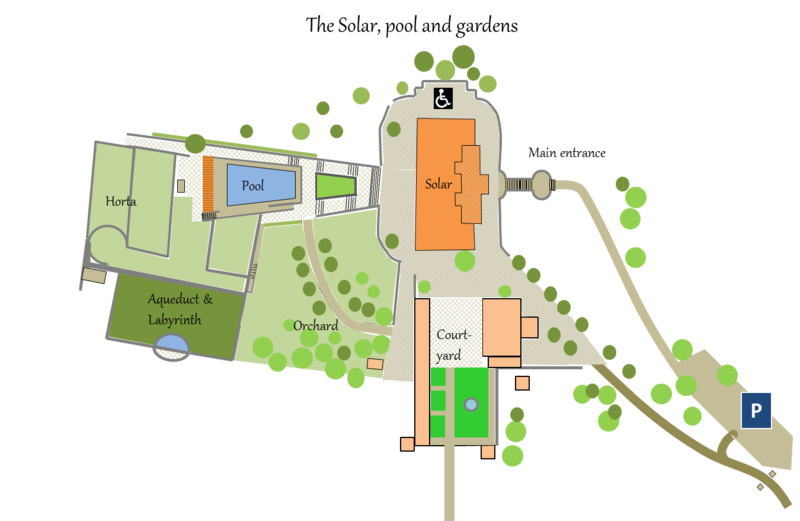 Behind the pool is our new Spa, with a sauna and steam room, bathroom, bar area and massage room. 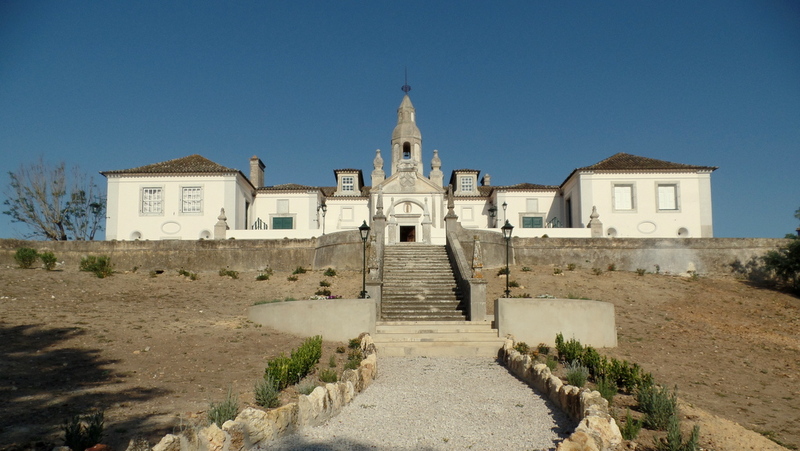 Quinta da Conceycão, as it was originally called was built for the Dutchman Antonio Cremer and his wife Catherine van Zeller in 1715. Antonio Cremer was sent to Portugal during the Spanish war of succession (1701-1714) where he served as admiral. 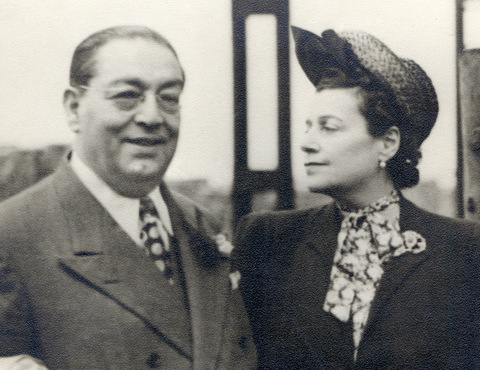 Cremer received the “ordem de Cristo” for his services, the highest honour proffered by the Portuguese King. 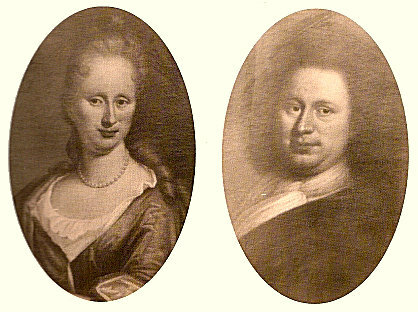 After the treaty of Utrech was agreed in 1713, he stayed in Portugal acting as a Dutch diplomat. 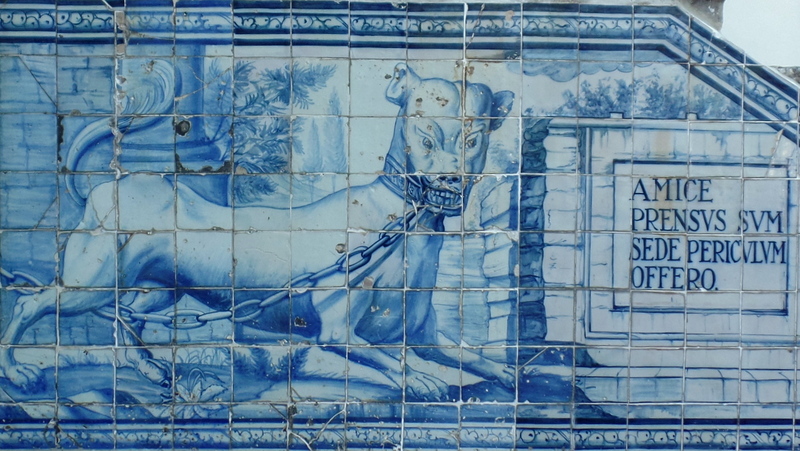 In 1725, Cremer was appointed by King João V to oversee and revolutionise the production of gunpowder for the Portuguese empire, a vital commodity for the Portuguese navy in defending what was at that time probably the richest empire in Europe. 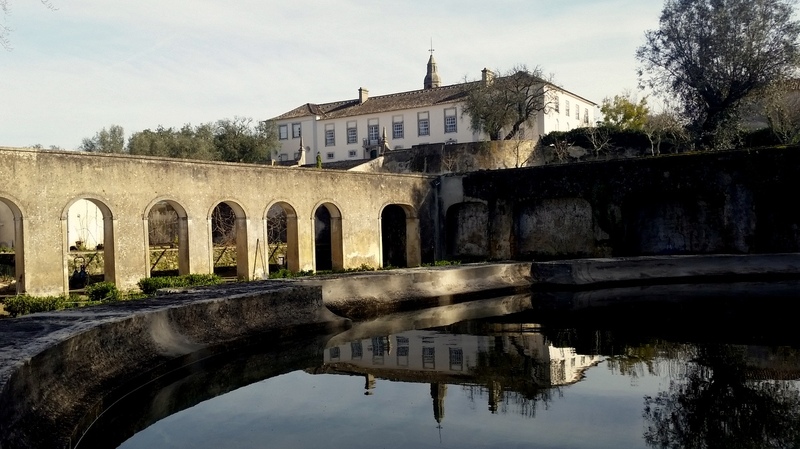 Portuguese gunpowder was in short supply and of inferior quality, so Cremer designed and built several new water powered factories and by 1729 Cremer’s gunpowder was regarded as the best in Europe. 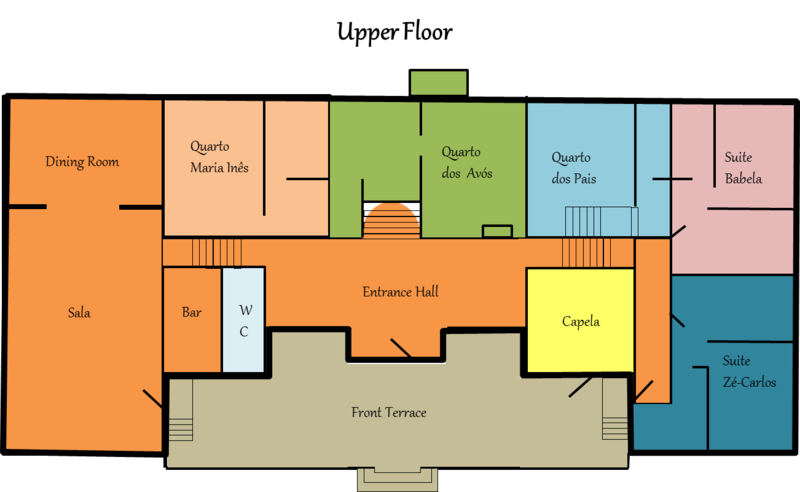 King João V visited Quinta da Conceição in 1715, and once again in 1725 this time accompanied by his wife Queen Ana Maria of Austria and their children Dom Pedro and Dom José, and it is recorded that the King was greeted with a nine gun salute and refreshments. 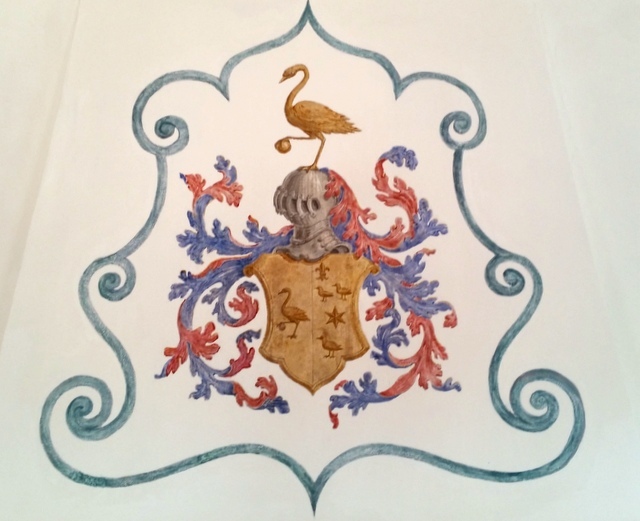 The coat of arms of Antonio Cremer which sits above the fireplace in the Sala includes references to his gunpowder heritage and with a stork clutching a cannon ball in one foot. The Solar which is approximately 800m2 in size is a true gem of baroque architecture with a Dutch inspired bell tower and traditional Portuguese layout and features. It is a wonderful and compact example of a baroque building both inside and outside, being dramatic, imposing, yet beautiful and completely unexpected to find emerging from the forest. It is a building that can not help but make an impression on you. It is laid out on two floors with the upper floor containing grand rooms with high ceilings and the ground floor with more rustic charm. By 1941, when the family of the current owners purchased it, the house had fallen into ruin and was being used to house cattle. 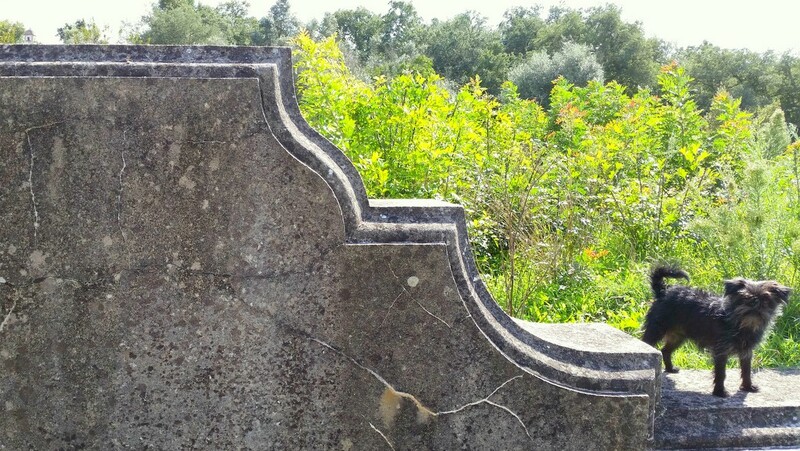 The new owner, Carlos Ferreira, one of the most prolific entrepreneurs of his day, commissioned the Portuguese architect Antonio Lino to transform the ruin into more or less how it is laid out to the present day. 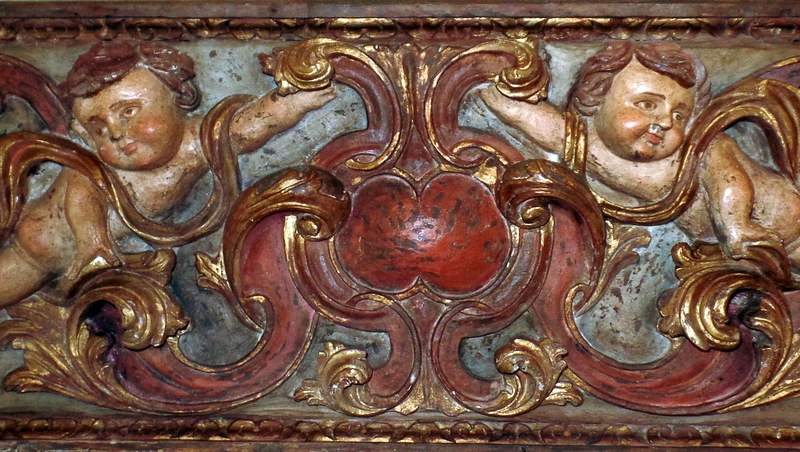 After falling once more into disrepair and suffering extensive vandalism over the last 20 years, the opportunity arose for the heirs of Carlos Ferreira to once again bring this magnificent building back to a sustainable life as luxury accommodation and an events space in time for its 300th anniversary. There is a small and dedicated team at the Quinta devoted to ensure our guests are looked after and made to feel at home. We are not a hotel with staff and services available at all hours. We aim to offer instead a personal, warm and welcoming service, to make you really feel at home and to help you enjoy and experience this wonderful place and all it has to offer. We promise to do our very best to ensure you leave with some wonderful memories and experiences. We speak English and Portuguese, and a little French and German.